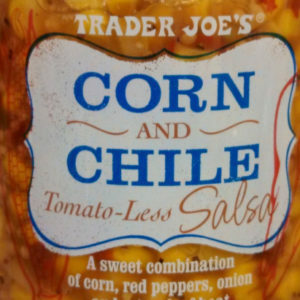 File under “meh.” I’m not saying salsa it has to be covered in Sriracha to be good, but much like their Cowboy Caviar, this tastes pretty bland to me. 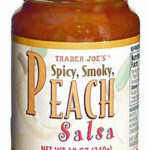 It’s very difficult to find a good salsa when there are tomato allergies in the family- but this fits the bill. Kinda like my mom’s homemade bread and putter pickles- as far as taste profile goes. 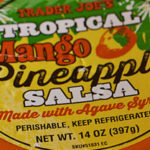 It’s one of the VERY few I’ve found out there that satisfies as a tortilla chip dip that does NOT have tomatoes in it. 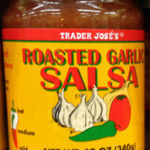 I like this salsa a lot! It’s got a kick to it, but it’s not too overpowering. It’s good in burritos, enchiladas, and Mexican-themed casseroles. 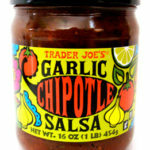 I always have this in the pantry. 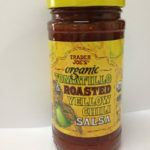 Toss it with romaine lettuce and black beans for a dinner salad. I mix it with 2/3 of a can of black beans, rinse the beans first. It’s a great dip that goes fast at parties. 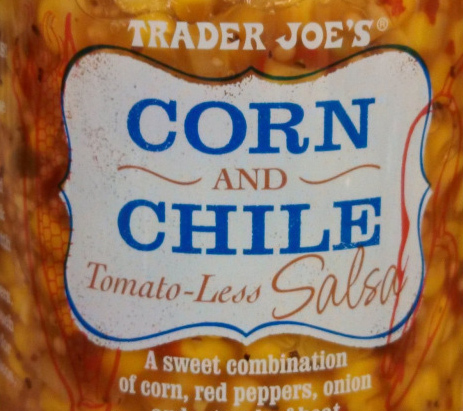 The beans makes it less sweet and doubles the quantity of the salsa. 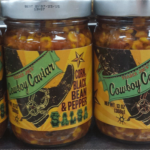 Cheaper and less sweet than buying cowboy caviar (healthier as well! )/.